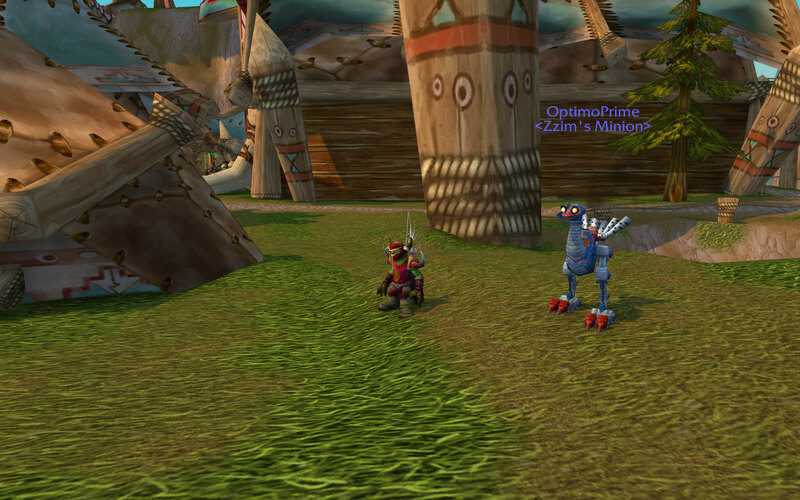 WoW Petopia Community • View topic - Show Off Your Legion-Era Tames! 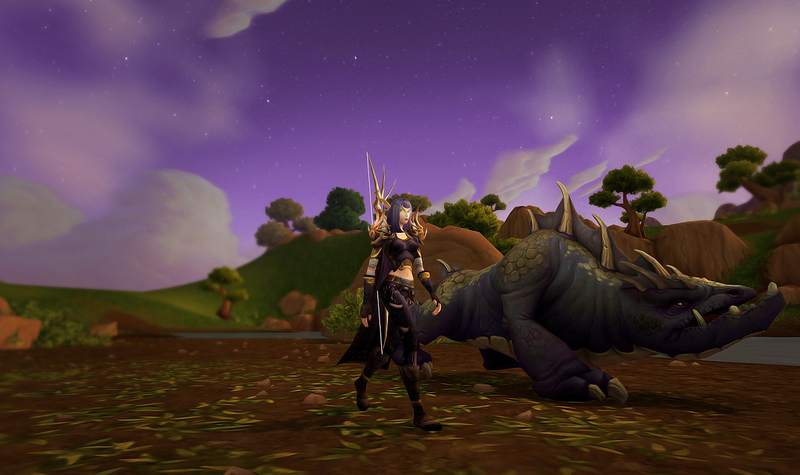 Show Off Your Legion-Era Tames! Post subject: Show Off Your Legion-Era Tames! I promise I searched for an existing thread! I didn't see one though, so here we go! "Legion-Era" since this is technically before Legion, but I'm counting it as all the same. I just re-subbed and naturally, had to go out and try out some new pets. I only ended up with two for now, but I'm sure there will be more. I've always liked the shoveltusks, despite their strange faces. I settled on the darkest color and named him Dozer. Initially, he was going to be Tank, but I didn't want a tank named Tank. Seemed kinda...lame. So, I went with Dozer, since my brain went to Tank and Dozer from The Matrix. I must say, I love how the shoveltusks run! It's so cute! I'd love to see everyone else's! 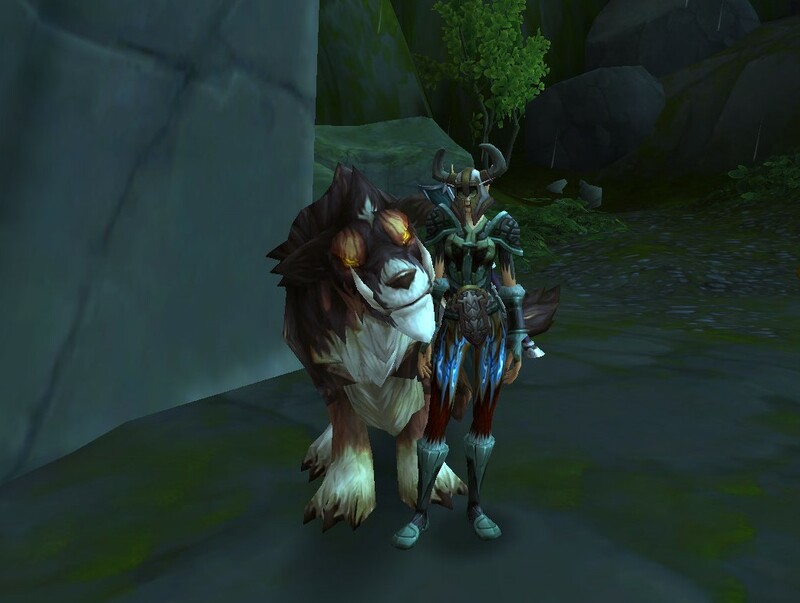 Post subject: Re: Show Off Your Legion-Era Tames! 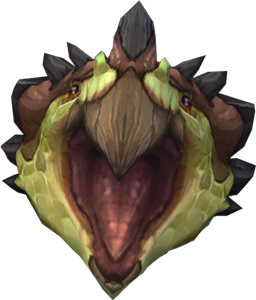 Also, I love your shoveltusk! And I almost forgot mechanicals! 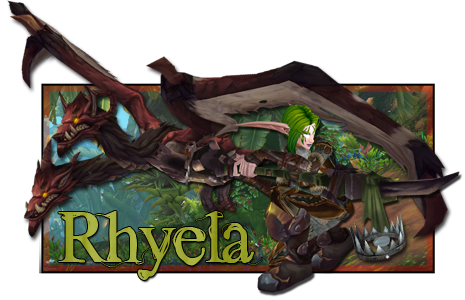 Been playing and absolutely loving my little gnome hunter! She's only 42 but has actually and amazingly completed her stables! This is mainly because I only wanted mechanical pets for her. She doesn't trust fleshy creatures. Too unreliable. 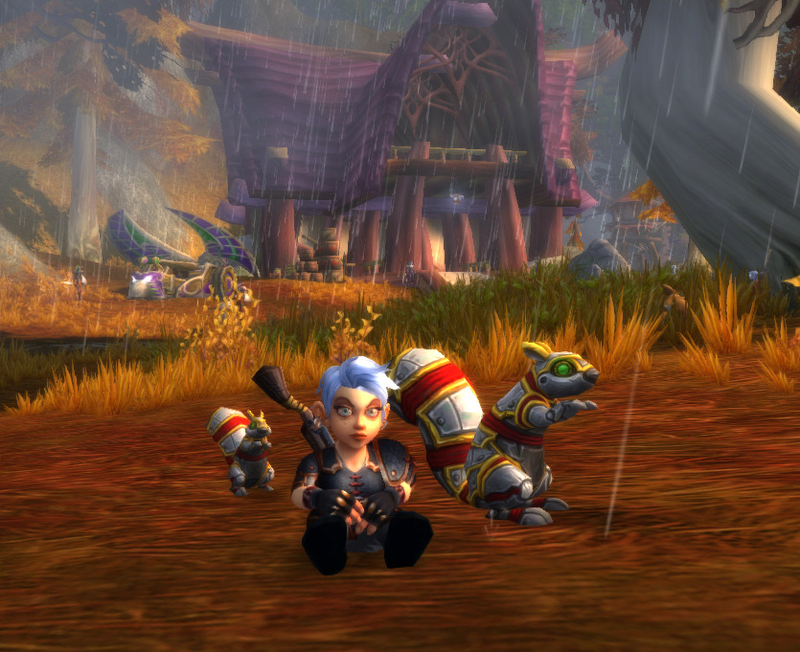 Anyway, aside from having the perfect starter pet, there were only four others that fit her style. 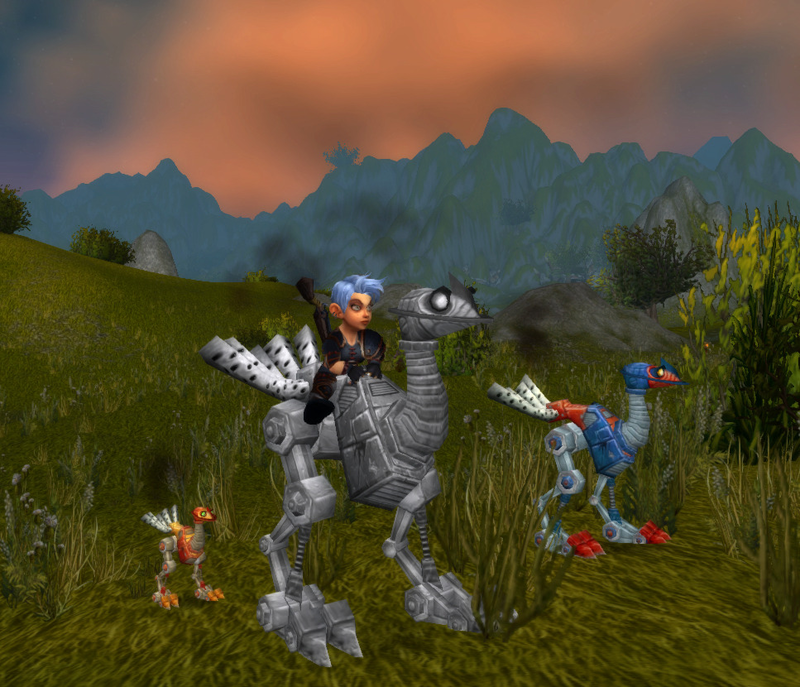 Also I wish that mechanostrider was an actual mount coloring in game. It would be so perfect for my gnome! Is it me or does Thok seem bigger than other Devilsaurs could be her armor or it could be she really is bigger either way the best tame I ever got. Is your hunter buried in that pic somewhere? I named them (Optimo) Rocket. More gnome hunters! Gah they are so cute! Here's Furfur, my shoveltusk. 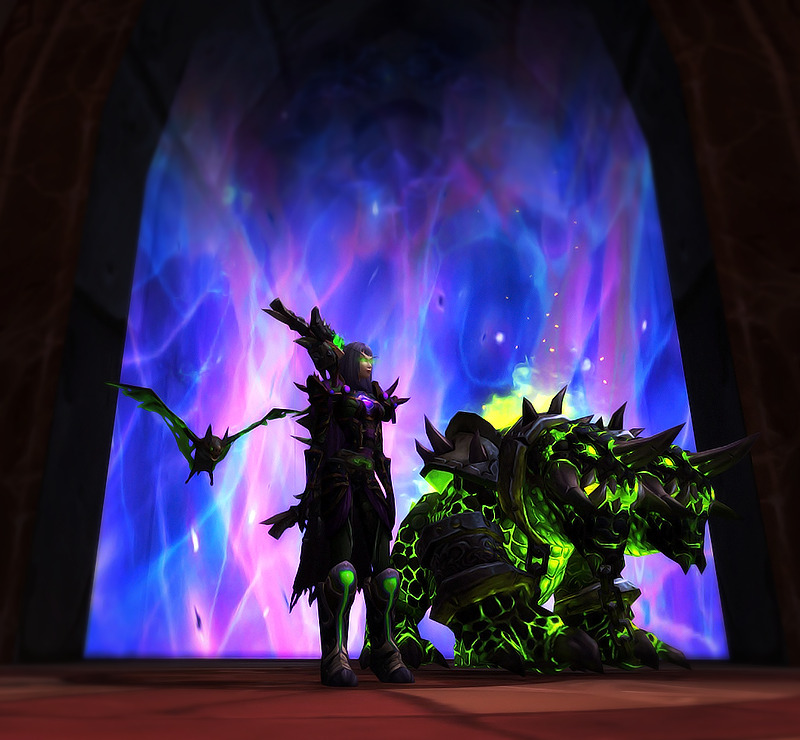 I've always loved these guys since wotlk, so I'm glad they're finally tameable! I saw a wolvar chasing him around outside of the wild shoveltusk pen, so of course I had to rescue him in particular. He's good luck - we went through Vortex Pinnacle a few times together and I got the drake! Excuse the horrid clothes, I haven't gotten round to transmogging anything yet! Rasariel and Alice. Had to go start the quest on a character that didn't have it and quickly relog Ras, so I could tame her. Luckily it worked! Dawnwind with Anpaytoo. I really, really, really love this model. Seems it's easily the favourite among us Petopians, judging by the pictures. 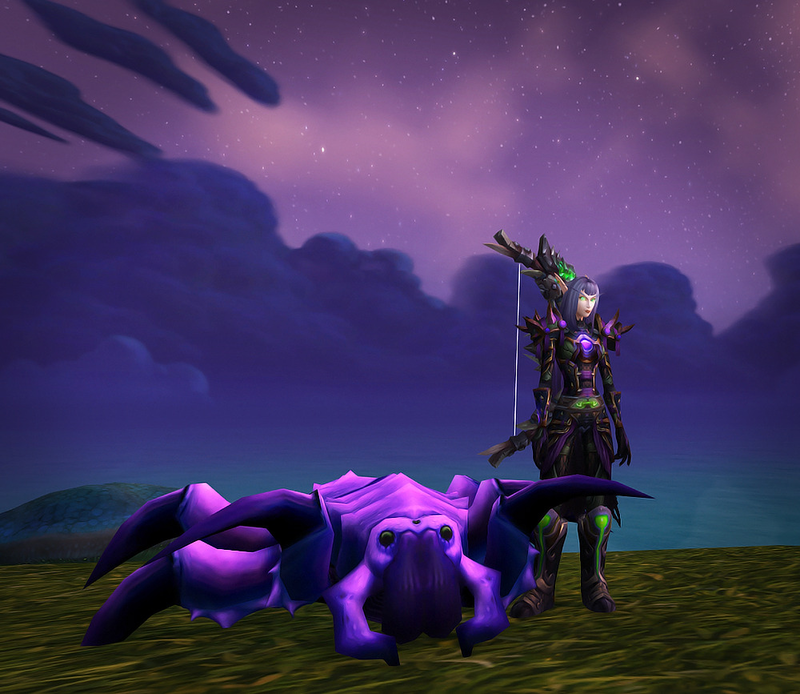 I'd love to see some other kodo tames too! Lazuli and Bijou. Bijou is essentially my old crane reborn as a mushan. I didn't intend for her to be a precious diva, but it happened anyway. Garshanga with Caliban and Sycorax. Mozag and Hex. I've wanted a bear for Mozag for years, but none ever fit until now. Ashanaa and Hyyde. I love how affectionate Hyyde usually is. Unlike my other pets, she seems to want to stand ON TOP of Ash most of the time. And finally, Eadgyth and Rage. 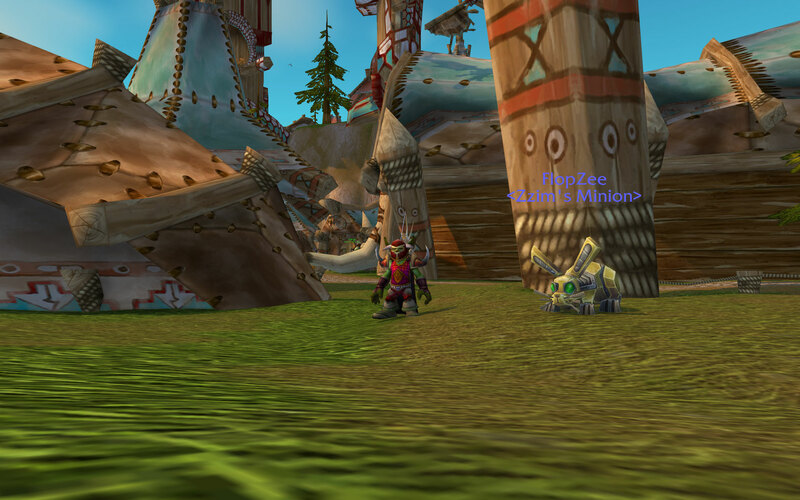 I know I'm kind of late to the game, but I sent my lowbie Goblin hunter off to see about some mechanical tames. The trip to Dun Morogh can get a little dangerous for a Hordie when you're below level 20. It's even worse only having two pet slots and having to hearth back to town to get to a stablemaster then make the trip again. There was a long wait for Rabbot to spawn. Optimo wasn't up when I got down to his cave, but he spawned within 10 or 15 minutes. After two trips out there, I didn't feel like going back yet again for one of the 'plain' mechanostriders in Optimo's cave. You're not late! There's a whole lotta Legion to explore. I've been on holiday so I haven't had much of a chance to do things in game for a while, but I'm finally getting back to it. I think I might have posted a couple of these on another thread, but I'll put them here too. Firstly is my new green core hound. I already have a red one and the Chromaggus one, but Veph just needed the green one for aesthetics. He's kind of become my Legion/invasion companion I think. I named him 'Felbane' as a quick temporary thing because I don't like running around with nameless pets, but I actually think it might stick. He's my demon slaying buddy. Then I had to go out and tame one of the new silithid models. I'm really fond of the plain purple one, and this tame is particularly unique because it marks Veph's very first female pet. For some reason she has always had an all-male stable, but this one felt decidedly female. I'm still waiting for the perfect name to come to me, but I'm sure it will eventually! 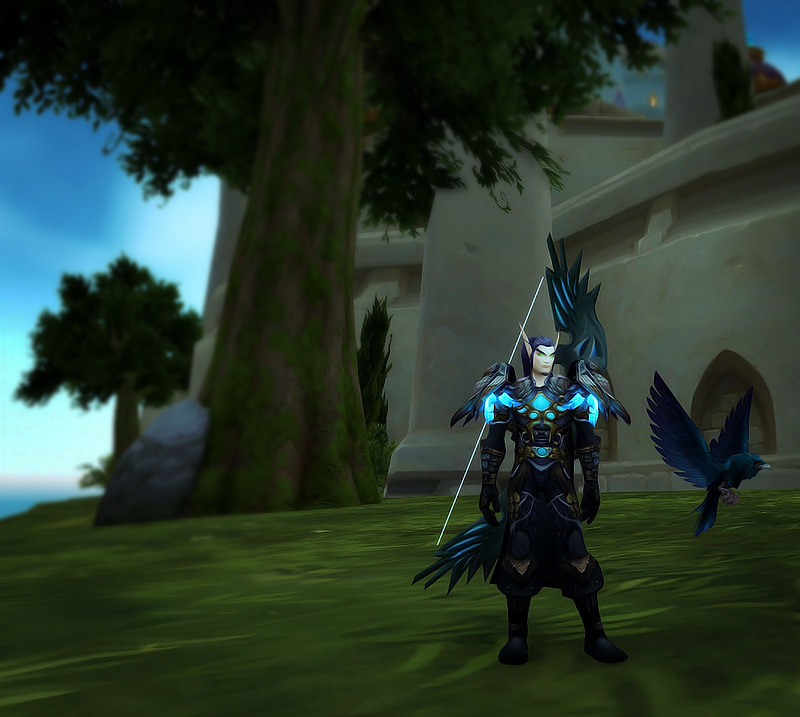 And lastly there's Darkhide, who I kept the name of. I'm not sure if anyone remembers how much I was pining for mushans back in the MoP beta, specifically this guy. I admit, some of that enthusiasm has curbed because of how long the wait was, but I'm still very happy to finally have him join my stables. Oh, and I don't think I talk about him too much over here, but my RP character Cas picked up the beautiful new raven model. (he is a bird lover <3) It's just so nice and I adore it, though my one critique might be that I wish it was a bit smaller like the old ravens. I used the size glyph on it since those are individual per pet now (which is fantastic) and it definitely helped a bit. I think that's it for now, at least until the actual expansion drops. I also went and retamed my bear Grudge as his original model since the new one really didn't click for me, but that's not really a "new" tame. 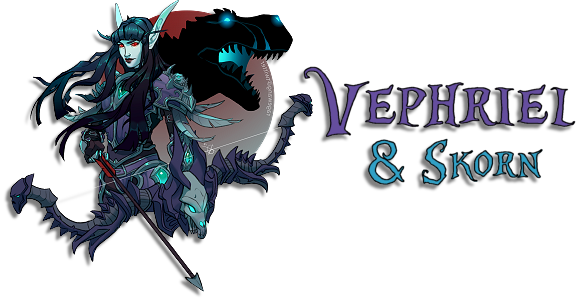 I don't think I'll be too interested in the mechanical pets, at least not for Veph. 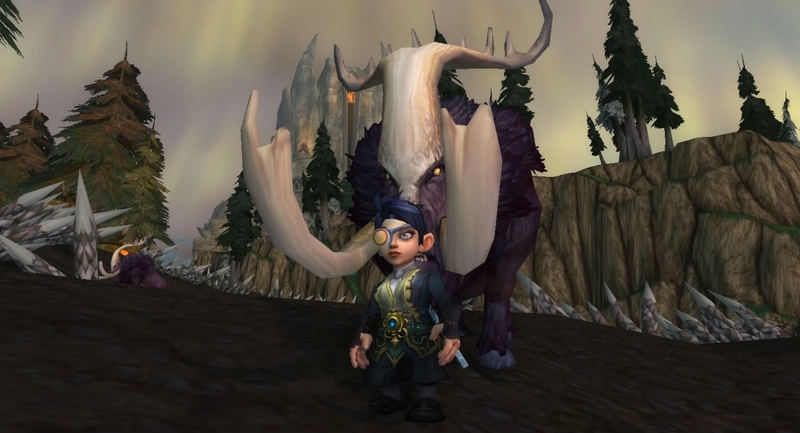 The oxen are cute but also not really for her, though I'm tempted to pick up the woolly kodo because I love the new model so much. Maybe on an alt though. And maybe a mana wyrm! I haven't decided yet. I think Felbane is a great name! And I'm with you on the scalehides...I wanted the stegodons for so long! But now that they're available, I'm just not as thrilled as I thought I'd be. Their models are so outdated now, and there's probably very little chance they'll get a cool family ability since those are more or less scrapped. So while I really like mine, I'm just not as "yay!" about it as I would have been an expansion or two ago. 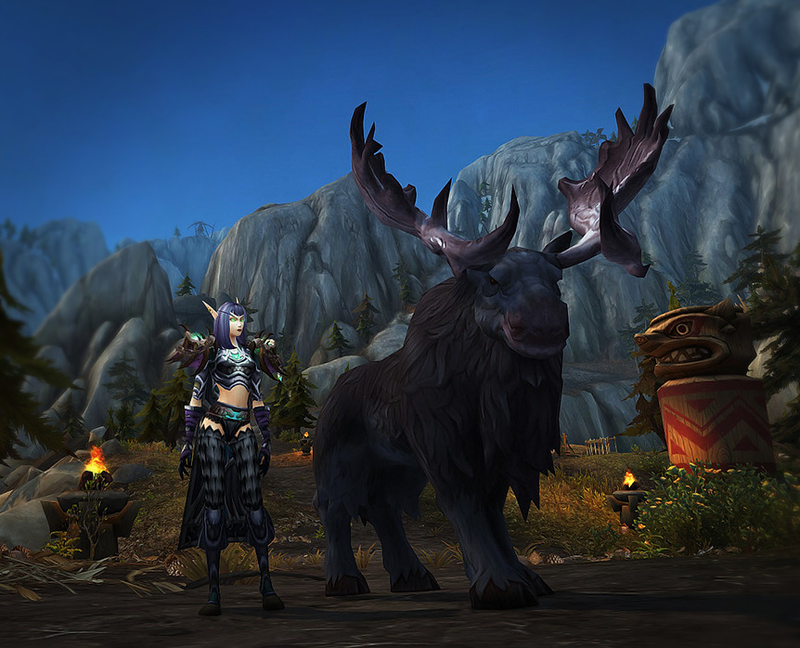 I started Highmountain today and had to pick up the black moose first thing. While I did tame Bulvinkel for fun, he didn't really click with me (or Veph) so I ended up letting him go, but this guy here is a keeper I think! I named him Hudson and I just love him so far. 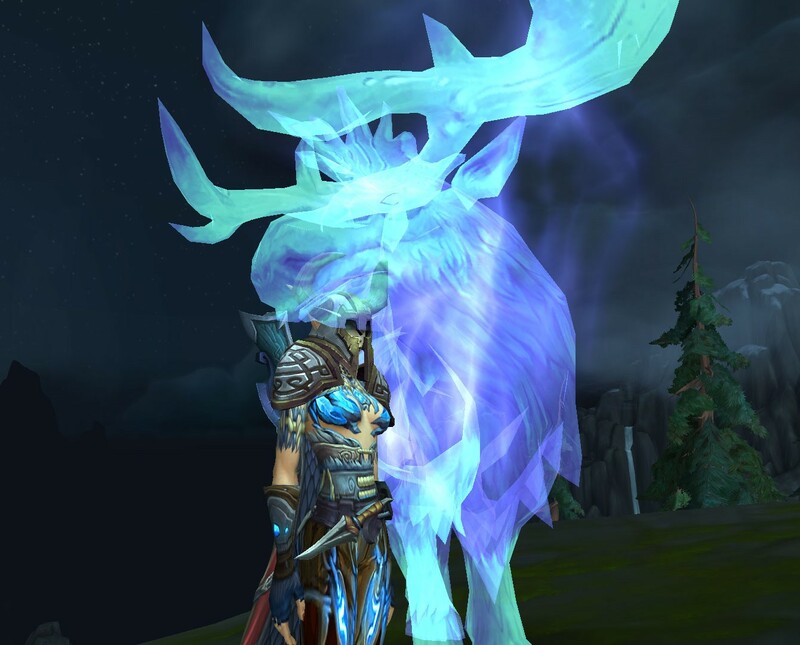 That is a very handsome moose! Cute name, too! And I agree with you on the basilisks, so maybe that's why I was drawn to the dark blue one (although I'd love to find the fel green one). Pics coming from me tonight! And my unexpected tame today, Rocket , being adorable. I love these wolves, they look like collies!